Chinavia hilaris (Green Stink Bug). I learned a new word! This species is extremely "polyphagous" meaning it feeds on a wide variety of foods. 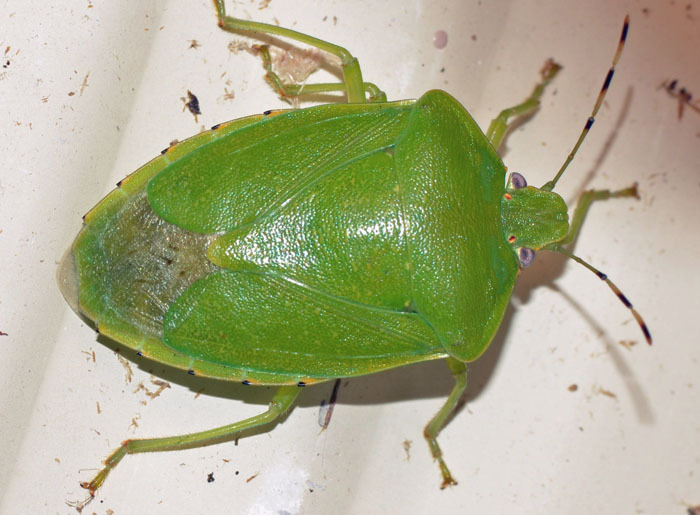 The Green Stink Bug is the perhaps the most common member of this family in North America but the record on bugguide.net suggests that it might be less common in Florida.